RedShelf.com joins the ranks of more than 20 other ebook vendors indexed on DirectTextbook.com, which helps college students and others find the best prices for textbooks and other books. Direct Textbook now gives you more options than ever for buying textbooks and other books at the lowest possible prices by adding RedShelf.com to its already-extensive search feature. RedShelf.com sells ebooks and etextbooks discounted up to 60 percent and distributes them via its proprietary e-reader that allows users to highlight text, add notes, add bookmarks, and even draw and doodle. The platform is available on devices such as desktops, laptops, tablets, and smartphones. The LSAT (Law School Admission Test), administered by The Law School Admission Council, requires ample preparation not only to pass, but to earn a high-level score that will make you attractive to the most prestigious law schools – or, at least, the law school of your choice – in addition to opening the gates to scholarship funds. Hundreds, if not thousands, of books and online study guides promise to help you pass the LSAT; however, efficient studying is key to a high LSAT score. That means you need to focus your time studying only the best LSAT prep books and online courses. The United States Medical Licensing Examination (USMLE) is the most important series of tests medical students and residents will ever take. Performance on the USMLE not only dictates whether students will graduate from medical school, but also which residencies and medical career fields they’re qualified for. Given its critical bearing on life and livelihood, it literally pays to achieve a high score on the USMLE. Fortunately, several outstanding books are available to help you do just that. You only have so much time to prepare, so knowing which are the best USMLE prep books will help you study more efficiently and gain the knowledge you need to ace the USMLE. What Are The Best Books For MCAT Preparation? The MCAT, or Medical College Admission Test, has long been a source of stress for aspiring medical students. The notorious test is designed to measure academic readiness for medical school and is administered in three sections: Physical Sciences, Verbal Reasoning, and Biological Sciences (a fourth, optional Trial Section administered through 2014 is not scored). Each section is worth 15 points, for a total possible score of 45 – though a score of 38 and above is within the 99th percentile. MCAT scores not only determine medical school readiness, but also play a role in medical school acceptance. A higher MCAT score contributes to more opportunities at preferred medical schools. 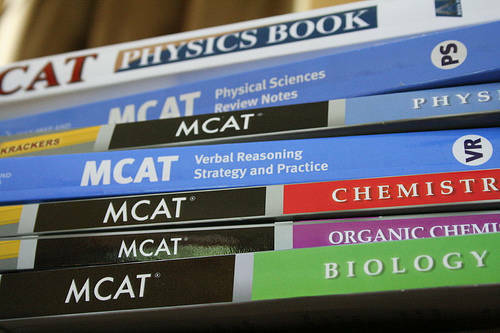 For this reason, it's wise to maximize efficiency by studying the best MCAT books. Shipping is always a consideration when you buy and sell used books via online platforms such as Amazon, Ebay, and Chegg; you want to make sure shipping payment responsibilities are clearly defined between the buyer and seller in order to ensure a fair price for your books. Fortunately, most carriers make shipping to U.S.-based buyers simple and straight-forward – but what about shipping to our friends up north? Are there duty fees? Exchange rates? Can all stores ship to Canada? The following examines major vendors' policies and associated fees for shipping from the United States to Canada.